For more information on the Plumas Health and Human Services Center biomass heating facility, visit its webpage here. Unlike urban areas or California’s Central Valley, communities in more remote and forested areas like Plumas County do not have access to affordable natural gas. Businesses and other non-residential buildings must therefore rely on fossil fuels for heat. Propane, fuel oil, and the like are subject to extremely volatile prices and can pose significant financial burdens on rural entities. Not to mention that many local heating facilities are seriously outdated and running well beyond their life expectancy. Building on the widespread consensus that our unhealthy forests are in need of restoration and that the local economy would benefit from revitalization of the wood products industry, the Sierra Institute and county partners developed a county-wide plan for renewable energy focused on use of forest biomass in 2013. Out of this effort came the Plumas Energy Efficiency and Renewables Management Action Plan (PEER MAP). PEER MAP includes a vision for a county-wide network of biomass boilers at critical institutions with high heat demand, anchored by a chip processing facility based at a wood products campus in Crescent Mills. Sierra Institute has been working with entities around the county to explore opportunities for converting to biomass heat. Sierra Institute has funded a number of feasibility studies for biomass heating systems at schools, hospitals, and government buildings, ____ studies in total. As Plumas County does not have access to affordable natural gas, the modeled operational costs of biomass heat are significantly cheaper compared to current heating expenses. Wood-fired heat conversion also offers an opportunity to upgrade aging heating infrastructure. 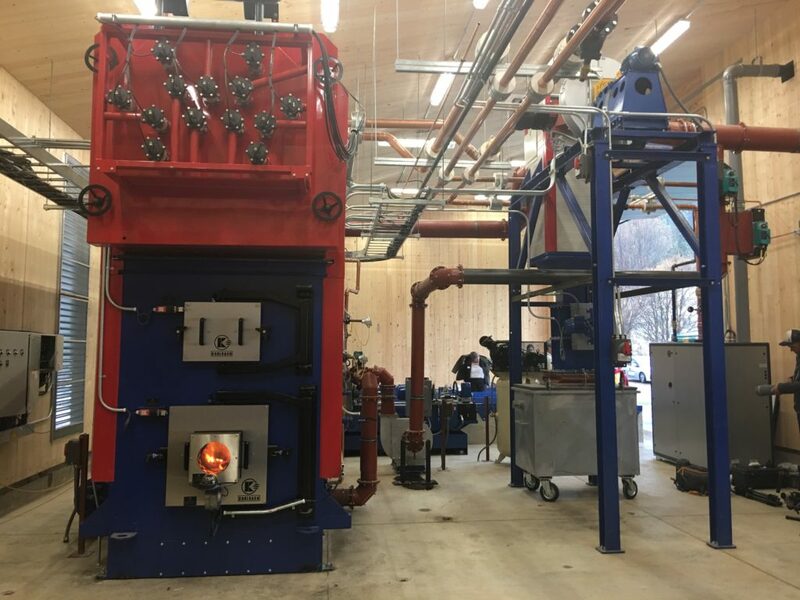 While installation of a biomass heating system can be complex and the capital costs are high, Sierra Institute can support interested entities through technical assistance, identifying funding resources, and providing project development support. 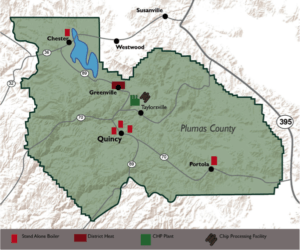 Plumas County’s future is wood! A California Energy Commission awarded Sierra Institute a grant in 2015 to fund engineering and construction of a small-scale biomass heat and power facility in Quincy. This system will provide affordable and sustainable heat to the Plumas County Health and Human Services Center, and also generate some power to offset electrical costs of running the heat pumps and more. 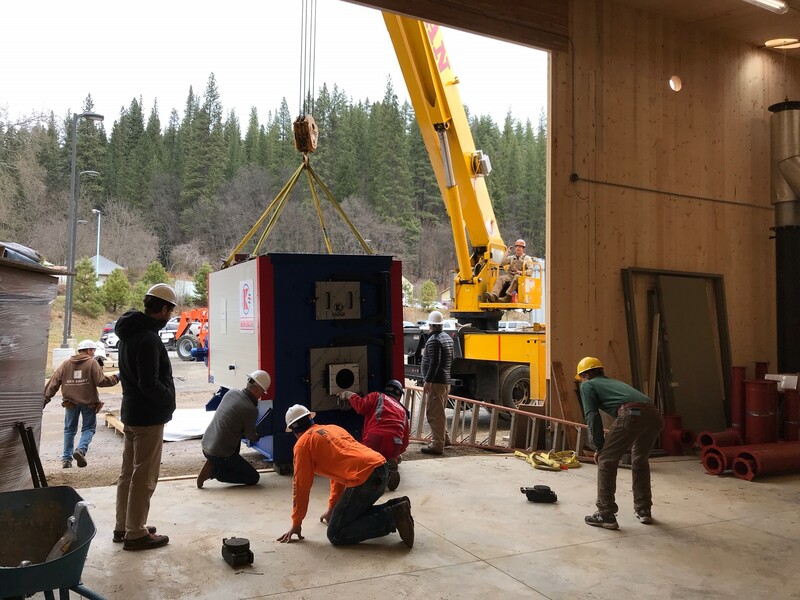 The completed system will serve as a model to not only to the rest of Plumas County but also regionally for woody biomass heating technology that can benefit local forest lands and communities. The facility is housed within a full cross-laminated timber building. In 2016, Sierra Institute funded a biomass feasibility study for Quincy Junior Senior High School. The high school is currently heated by fuel oil boilers that are the oldest in the district—one of which was built in 1949. Replacement of this system has been a priority of the Plumas Unified School District’s (PUSD) administrators for some time. Results from the feasibility study identified that current heating costs are high enough that a conversion to biomass heat is feasible and attractive compared to fossil fuel alternatives. The operational costs would be significantly lower compared to current expenses. Since then, PUSD has secured funding for a full engineering study of a wood-fired heating system at Quincy High School. Sierra Institute continues to serve as a resource for PUSD while they advance this exciting work.